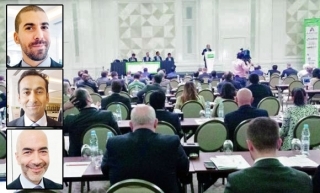 The opportunities for both local and international solar companies in the region have been increasing steadily, according to top industry executives who attended the two-day Middle East & North Africa Solar Conference and Expo (MENASOL) that concluded in Dubai. More than 400 top energy executives gathered at Dubai’s Hyatt Regency to discuss how best to develop and construct photovoltaic (PV) and concentrated solar thermal power (CSP) plants in the region’s top markets including Saudi Arabia, UAE, Jordan and Morocco. The speakers also debated and discussed the challenges of project development in the region. One of the key issues that was discussed thoroughly was how to develop the solar industry in Saudi Arabia. Currently, the solar spotlight in the Middle East has been focused on Kingdom. According to the experts, the huge size of the solar program has dwarfed the efforts being made by all the other countries in the region. Addressing the panel discussion, titled ’Designing competitive and bankable projects in Saudi Arabia’, Imtiaz Mahtab, regional managing director of Air Liquide, said that Saudi Arabia has strong infrastructure for renewable energy projects. “It has a lot of engineering companies and banks are ready to finance it. It means the mechanism to produce renewable energy is there… but the policy has to be streamlined,” he pointed out. Alexander Allegue, vice president of business development at SUN & LIFE, Solar company in Riyadh, said that a lot of lobbying and awareness campaigns were needed to accelerate the process, because solar energy business is new to Saudi Arabia. “We are working on lobbying and awareness programs on different sectors. In addition a lot of cooperation from the private sector is also essential,” he said. Since the industry is new to the region, we needs a lot suitable candidates to implement it,” he added. Richard Keenan, partner of Chadbourne & Park LLP, expressed high expectations from Saudi market and said that international renewable energy companies have started discussions regarding tie ups with Saudi Arabia on various projects. Sam shaker, CEO of Areva Solar, said that a clear frame work is a must to develop renewable energy from KSA. Addressing the conference, Vahid Fotuhi, president of the Middle East Solar Industry Association (Mesia), said Dubai is currently aiming to meet 1 percent of its power demand with solar energy by 2020 and 5% by 2030. He said that the potential is huge and the comparison of solar to coal, nuclear or particularly gas is becoming ever more apparent. “Dubai should be far more ambitious and aim to hit 10 percent within 16 years” he noted. The renewable energy development in Jordan, which has taken a big step toward becoming a key market for renewable energy in the Middle East, was also discussed during the conference. More than 70 speakers from leading solar developers from different countries participated in the discussions. Arab News was a media partner for the two-day event. CSP industry leaders — including Saudi Aramco, Kuwait Oil Company, Masdar, Abengoa, and ACS Cobra – attended the event. Government agencies including National Electric Power Company Jordan (NEPCO), National Electricity Office- Morocco (ONÉE), Moroccan Solar Energy Agency (Morocco), Dubai Supreme Council of Energy (DSCE) and Dubai Electricity and Water Authority (DEWA) also participated in the event.